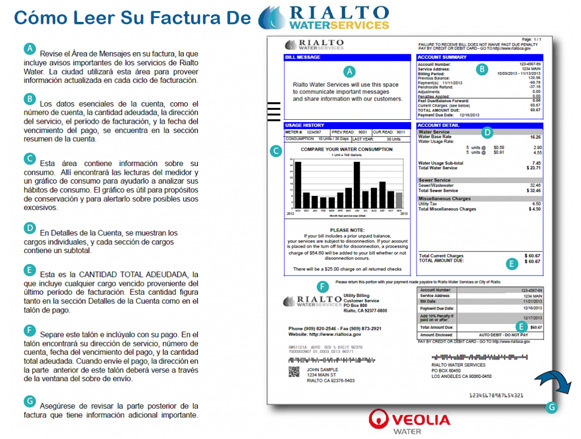 Rialto Water Services and Veolia are committed to providing excellent customer service. Rialto Water Services maintains expanded business hours for those customers who prefer to pay their bills in person or to speak with a customer service representative. The office is located at 437 N. Riverside Ave. , and is open from 8 AM to 5 PM, Monday through Friday. Find out how to conserve water in ways that can lower your monthly bill. We now offer a payment option for our customers to pay in cash at select stores nationwide. Depending on the location, services may be available 24/7. You can now take the bar codes located on the backside of your bill to participating stores to make cash payments. A convenience fee of $1.99 will apply. Our newest service to customers is the online bill payment system. 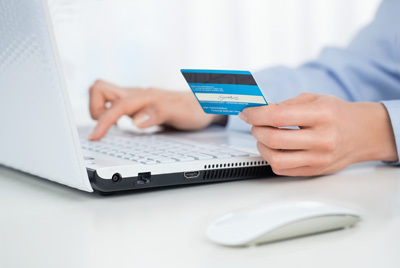 Customers are able to pay bills online using a credit card with no service charge or processing fees. This service is available to customers with an online account. Creating an online account is fast and easy. Online accounts are safe and secure. An online account allows you to make one-time or reoccurring payments from a checking account or credit card; receive bills electronically instead of paper ones; and consolidate multiple accounts with a single user name and password. If you have any further questions concerning the Water and/or Sewer portion of your bill, please call (909) 820-2546 between 8:00 A.M. and 5:00 P.M. Monday through Friday. For after hour water emergencies, please call (909) 820-2546. The telephone payment system is available for customers who don’t have internet service or who don’t want to pay online. After hours, customers can call 909-820-2546 and follow easy instructions in English or Spanish to pay bills through an automated telephone system. Residential water and Sewer deposits are required to establish service. Deposits are credited back to the account after 2-years of on-time payments and never having appeared on the turn-off list. Residential water service deposit amounts are equal to two (2) x the average monthly consumption for the past twelve (12) consecutive months for the property. Residential sewer deposits are $103. 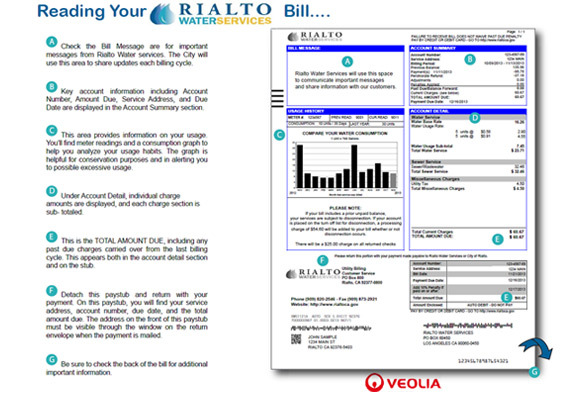 Water and sewer bills are due and payable upon receipt; delinquent twenty-five (25) days after billing date. If an account is delinquent for non-payment, a delinquent fee totaling 10% of current charges and 1.5% of the past due balance. If a bill includes a prior unpaid balance, the customer will have ten (10) days from the next regular billing date to pay the prior balance. Turn off procedures will begin if payment is not received by the end of the ten (10) days and a turn-off list processing charge of $62.80 will be added to your bill. If service is disconnected and restoration is requested after working hours, weekends or holidays, the restoration charge shall be $100.70 payable by noon of the next working day. No water shall be turned on after 8:00 P.M. or before 7:00 A.M. Ten (10) days after service has been discontinued, if the account remains unpaid, the customer’s deposit will be applied to the unpaid balance and the account will be closed. Service will not be resumed until a deposit is reconstituted and all outstanding charges have been paid. Payments received one (1) day prior to the current bill being generated and mailed will not be reflected on the bill due to processing. Please be aware, per City of Rialto Resolution #5074 and #4746, ready to serve charges are billed monthly, whether or not the property is occupied. If the property becomes vacant, ready to serve charges become the responsibility of the owner. Water Base Charges apply based on meter size. The base charge for commercial and industrial varies depending on meter size. Please call for base charge information for commercial and industrial properties. Samples of the current utility bill are available for preview (in English and Spanish) at the top of this page.